Digerati Distribution has announced that Slain: Back from Hell launches on the PS Vita in fall 2016 and on the PS4 on September 13, 2016 digitally via the PlayStation Network. Slain: Back from Hell features brutal arcade style combat with bloody, intense platformer gameplay that puts a strategic twist on the classic hack-and-slash games of the ‘80s and ‘90s. Set in a dark, archaic world, Slain: Back from Hell has players take control of a grizzled warrior as they seek to liberate the kingdom from deadly overlords. Using elemental weapons, lethal mana attacks and cunning skill, players will battle and exploit the weaknesses of enemies to either save the doomed land or face being slain themselves. 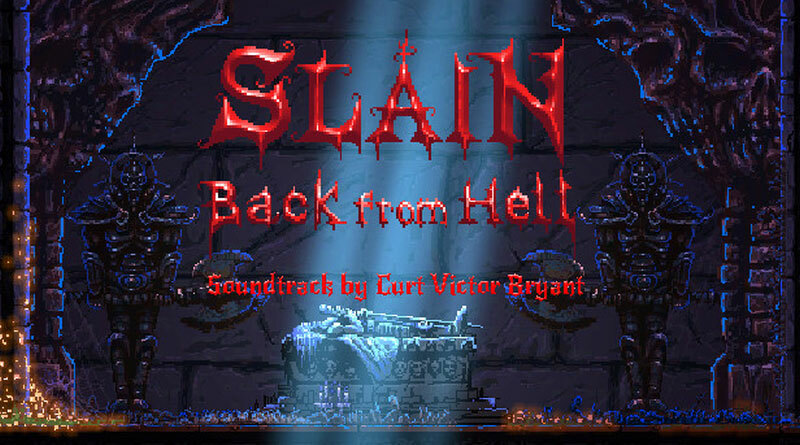 A brooding heavy metal soundtrack from former Celtic Frost member Curt Victor Bryant adds to the ferocity and gothic aura of the game, serving to heighten the intensity throughout the myriad battles. 6 hours of bone-crushing, metal-fuelled mayhem & gore. Full soundtrack recorded by Curt Victor Bryant formerly of Celtic Frost. Boss fights, mini-boss fights, sub-mini- boss fights &; macro-sub- mini-boss fights. No laborious leveling, no tedious grinding, no wimpy crafting!